A concept that has taken off in Asbury Park may be coming to Seaside Heights. 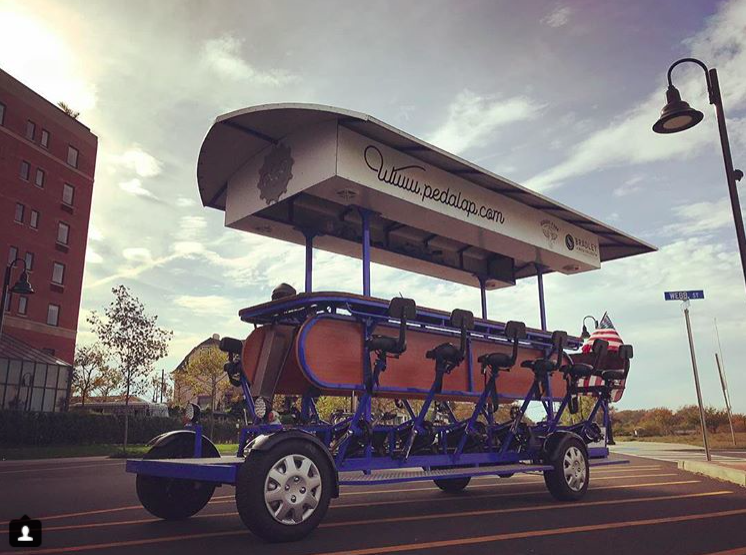 A local man has proposed starting the borough’s first “pedacycle” business that would take passengers around town and stop at various attractions. A pedacycle is essentially a 15-person bicycle. Bicycle seats line both sides and passengers sit opposite each other and work together to pedal the vehicle through town. A trained operator is in charge of starts and stops, and steering the cycle. The idea has been pitched to borough officials, who asked the prospective business owner to come to a future council meeting to further explain the business, how it would work in town, and safety issues. “We weren’t sure how he wants to operate it, so we have a few questions,” Vaz said. A presentation on the business may come at the May 2 borough council meeting. 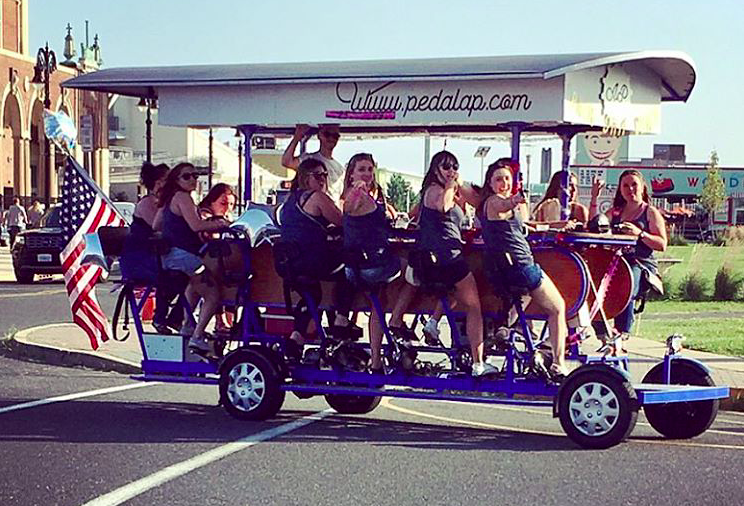 In Asbury Park, the Asbury Pedacycle business has been a hit since it debuted. According to that business’s website, the cycle moves between 5-8 m.p.h. and stops at a number of bars through the city. There is no alcohol allowed on the cycle itself, but food and soft drinks can be brought on board. A 90 minute ride costs $30 per person, or the entire bike can be rented for $400.